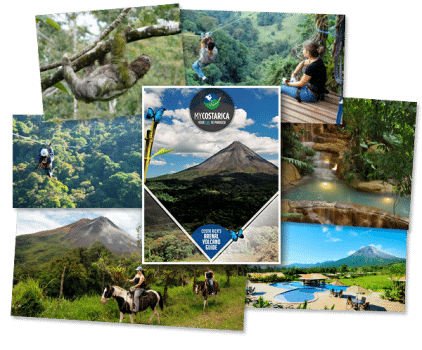 "Get your Free Travel Guide and visit the majestic Arenal Volcano"
What’s In The Arenal Volcano Travel Guide? Your Costa Rica Arenal Travel Guide will provide you with information about destinations and things to do in the Arenal Region, what to expect when traveling in Costa Rica. We recommend must-see places and must-do activities while you are in Arenal, as well as helpful traveling tips to prepare you for the vacation of a lifetime. Fall in love with this the majestic Volcano. Discover why it is called the why so many people visit the Costa Rica Arenal Volcano each year. 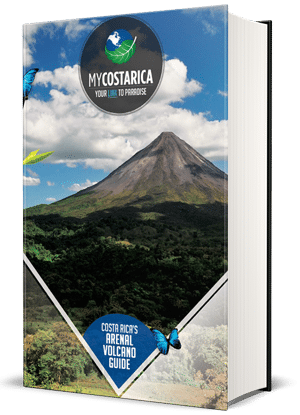 Take a peek inside and see some fascinating information to guide you to an unforgettable trip to The Costa Rica Arenal Volcano. Whatever it is you like to do we have a fun activity that will make your trip that much better. The Costa Rica Arenal Volcano receives thousands of visitors every year and is one of the top destinations here. Join us and come have fun. Let us know what your dream things to do are. The likely hood of you doing it near the Costa Rica Arenal Volcano is very high. Arenal boasts a large array of things to do. For example, try one of the zip line tours or walk on the hanging Bridges, even soak up some time at one of many hot springs. We would love to have you come stay near the Costa Rica Arenal Volcano.